Please note: IATV Radio has moved to a new location. Please redirect your browser to iatvradio.com and please check your podcatcher to make sure everything is ok.
Don't forget to subscribe to the show on iTunes (or grab the MP3 Feed) and please rate the show :) Thanks! Please subscribe to the show on iTunes (or grab the MP3 Feed) and please rate the show. Thanks! Focus by Heidi Grant Halvorson Ph.D. and E. Tory Higgins Ph.D. The best way to learn is through listening to stories. The best way to teach is through telling stories. 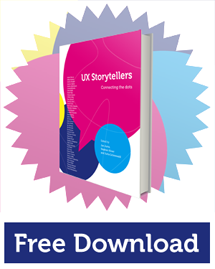 Are you a UX Expert with stories to tell? Great Band. Love their sound. Copyright by 123, Music by 456. Picture Window theme. Powered by Blogger.